For the first time ever, a unique initiative, where you receive a panchangam, personalized for you! The panchangam you see at ePanchang is calculated based on your date, time and place of birth. Hope you like your experience. Thank you for visiting epanchang. Hope you found what you were looking for! Please take time to…better.It will just take you 15 seconds. But, your response will go a long way in making ePanchang a better experience for everyone. Get your horoscope based on date of birth , time of birth and place of birth. Rasi and Nakshatra,Birth and navamsa chart,120 years dasha and bukthi. The ePanchang calendar based on your date of birth only. 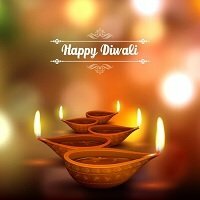 List of the Hindu calendar dates, festivals and panchang available here..
Tamil is one of the oldest languages, with a rich tradition that spans thousands of years now..
Tamil panchangam by ePanchang.com, is a regular tamil panchangam with a unique twist to it. This tamil panchangam indicates daily Sunrise, Sunset, Tithi, Nakshatra. The tamil panchangam also informs the Tamil yoga every day. Rahu Kalam, Gulikai Kalam, Yamaganda and Abhijit nakshatra is also shown at the tamil panchangam everyday. The tamil panchangam tells you your Chandrashtama days, so you can beware. In addition to all other details offered by other similar tamil panchangams, also offers your unique panchangam or my panchangam, which is the tamil panchangam that is created for you. With your birth details as input, epanchangam generates monthly calendars or monthly tamil panchangam, which show good dates, average dates and bad dates for you. Know your best dates and times at the tamil panchangam page to plan your life better. Whenever a person is ready for marriage, there are checks for jathagam porutham for marriage. This jathagam porutham is a very important activity, for which, the entire family and friends spend a lot of time poring through different tamil horoscopes that they have received, each one in the family throwing their piece of advice on marriage porutham. Rasi porutham in tamil is important for some, for others it is the omen that suggests if one has to go ahead. Even after proper jathagam porutham, marriage is based on the indications from the cosmos or sakunam, for some. After jathagam porutham is okayed, the general protocol is to visit the girl's house to see the family and the girl as a next step. As indicated by omens earlier, though porutham is matching, marriage arrangements may not proceed, if for example a glass is broken or someone got hurt and blood is drawn at the time of meeting the girl. After it is found that the jathagam porutham is acceptable to both the families, the tamil panchangam marriage dates are identified based on the birth details of the boy and girl. Later, one of the marriage dates suggested by the online tamil panchangam is selected for the marriage ceremony. Marriage is an important event in life and the correct porutham for marriage is essential for a happy marriage. ePanchang is a completely automated and instant online panchangam that gives you jathagam porutham for marriage based on drik ganitha philosophy. Get your accurate 10 porutham for marriage here. Tamil Horoscope or tamil jathagam is easy to generate if you know your birth day, time and place. This tamil horoscope or the placement of planets in the rasis, is then used as the basis to know your past, present and future scope in life, by an expert astrologer for marriage porutham. The jathagam or tamil horoscope shows the positions of all the planets in the different rasis, at the time of your birth. Rasi porutham in tamil is used to identify compatibility between the two jathagams. What defines the life story of the jathaka is the houses and the position of the planets in the houses in the horoscope. The Tamil horoscope chart generally has the planets Sun (Surya), Moon [Moon or Chandra is considered a planet], Mercury [Budhan], Mars [Chevvai], Venus [Sukran], Jupiter, Saturn, Rahu, Kethu placed in their appropriate houses. The houses or rasis are Mesha rasi, Vrishaba rasi, Mithuna rasi, Kataka rasi, Simha rasi, Kanni rasi, Thula rasi, Vrischika rasi, Dhanu rasi, Makara rasi, Kumbha rasi and Meena rasi. When interpreting the horoscope tamil astrologers take into account, the position of the planets in the rasis. It is also defined that the house number from the Ascendant or the Lagna, define the kind of life owner of the jathagam will experience. For example, the birth house or the ascendant or the lagna defines the personality and mind of the jathagam, the second house indicates wealth, speech, family, left eye, throat, 7th house for marriage and so on. A jathagam generally has the 9 planets in the 12 rasis, placed appropriately as per the birth time of the jathagam. Some astrologers writing jathagam in tamil may also include Gulikan, the son of Sani. This is especially true in parts of Tamilnadu bordering Kerala. Jathagam in tamil and other south indian languages follow a different format than those writing jathagam north of deccan plateau. Presently, ePanchang offers to generate jathagam in tamil, in addition to jathagam in english. jathagam in malayalam, telugu and kannada will follow soon. The report generated by jathagam in tamil constitutes the birth chart, the doshas in the jathagam, if any, followed by the dasa details and the dasa bukthis for a period of 120 years. Gulika or Maandhi, son of Saturn holds a position of prime importance in the evaluation of a natal chart, or jathagam in tamil. Maandhi is similar to Rahu and Kethu in that it has no physical existence. But it is an important consideration in a jathagam. Gulika is considered as one of the most malefic entity in jathagam. It is said that if gulika is placed in an unfavourable position in the jathagam in tamil, other than 3, 6, 10 and 11 positions, one should offer evening prayers to Shiva and Surya and Vishnu in the morning. 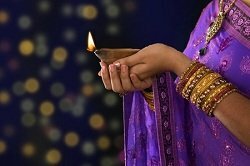 it is advised to light a ghee lamp in a Siva temple to mitigate the evil arising out of an unfavourable Gulika in the tamil jathagam. Online panchangam is your instant online panchangam, which is created in an instant online, where you just fill in your birth date, time and place of birth. This online panchangam is accurate and tells you dates that are favourable, of average value and those dates that you need to avoid making important life decisions. The online panchangam also tells you these dates for any time in the future, so that you may decide on what to do, when to do, long into the future. As the tagline says you can plan your life using the online panchangam by epanchang. The online panchangam shows dates in three colours, where green coloured dates are auspicious and good dates, yellow coloured dates are average, while red coloured dates are to be avoided. The online panchangam also lists general subha muhurtham dates and another list of auspicious dates based on your jathagam rasi chart. Recommended subha muhurtham dates may be a sub-set of the general subha muhurtham dates or unique based on your jathagam rasi chart. 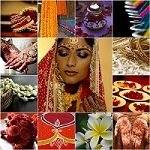 Rasi porutham in tamil is usually used to find horoscope compatibility for marriage, when the jathagam is not available or when the birth date and time is not known. Rasi porutham is also used when one or both jathagams are lost. Rasi porutham in tamil actually means that the jathagam matching is done based on the rasi porutham and nakshatra porutham instead of calculating it using date, time and place of birth, to find jathagam porutham for marriage. Even though rasi porutham uses the same parameters for jathagam porutham for marriage, it is to be noted that when rasi porutham alone is evaluated, certain aspects like the sarpa dosham, chevvai dosham, dasa sandhi, dosha samyam, sastashtaka dosham, ashtasashtaka dosham, puthra dosham cannot be considered for marriage porutham. Rasi porutham in tamil does not indicate knowledge of lagna. Hence, the above doshams may not be calculated, since all dosha calculations are based on lagna or ascendant sign in the jathagam. Rasi porutham in tamil is offered as an alternative by ePanchang, in case you do not have birth details and possess knowledge of only the star and rasi. Select the rasi and nakshatra of both the boy and the girl to find out 10 porutham for marriage.